The state of Nevada saw the writing on the wall several years ago when it came to online gambling. The future of the most lucrative gaming industry in the world was in the US, and Nevada became the first state to create online gambling regulation laws late last year. 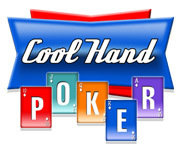 In 2012, regulators have moved swiftly towards opening these online casinos. On Thursday, Bally Technologies and International Game Technology were granted the first two online gambling licenses in Nevada. The two companies are both based in Nevada, with IGT in Reno, and Bally in Las Vegas. Nevada has always been ahead of the curve when it comes to gambling. They were the first in the US to offer full-scale casino gambling, and also the first state to operate sports books. Delaware has since opened their own sports books, and dozens of states have started allowing casinos in recent years. The economic recession has been one of teh driving forces behind the swiftness with which the gaming industry is growing. “Without the recession, casinos and online gambling may still have been years away in many states,” said Schwartz. “But the need to generate jobs and revenue has caused lawmakers to move in a rapid fashion. It’s only a matter of time before the US has a couple dozen states running online casinos. Next in line to license online casinos may be New Jersey. The state has already had voters approve sports betting in the last election, and lawmakers have laid the groundwork for online casinos, operated by Atlantic City casinos. The Atlantic City gaming industry has been in need of a shot in the arm, and legislators felt that sports betting and online casinos would provide that boost. According to several analysts, Nevada is expected to have online poker rooms running by the end of the year. IGT and Bally will have to show that they have the technology in place to stop underage and problem gamblers from accessing their sites, but once that is accomplished, regulators will give the go-ahead to start operating the online casinos. Table games and slots will not likely be available at the online sites until early in 2013.